Becoming a teenager always involves challenges and Neema seems to have more than her fair share. She wants a secondary school education like her brother, but their father has more traditional plans for Neema’s future. Her mother’s mysterious illness and aunt’s strange message make her wonder whether her family has indeed been cursed by the vengeful Red God. In standing against Maasai tradition, Neema risks the wrath of her father and community. With determination and the kindly Black God on her side, can Neema finally find a way to continue her education and break the family curse? 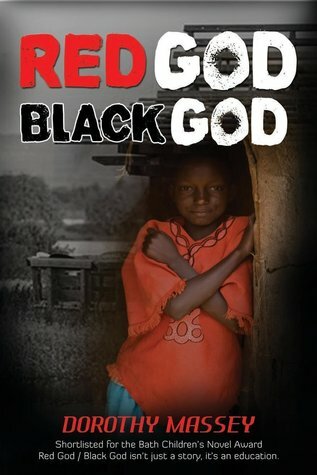 Wonderful, captivating read… By Susan Robertson on 26 Aug. 2015 Red God/Black God had me captured right from the start. The main character 14 year old Neema is dealing with being a teenager in the strict traditional world of the Maasai Tribe. Beautifully written, with exceptional detail that draws you into the Maasai culture of today. A book that makes you realise just how niave we can sometimes be and how we take so much for granted in our own countries. Although classed as a children’s Novel, I am sure Red God/Black God will be enjoyed by both adults and children worldwide. Well done to the author Dorothy Massey on her first Children’s novel. I look forward to reading more.